A Caribbean getaway is the great foundation for a terrific vacation—but it’s even better if you can incorporate an exciting destination into the plan. And we have the perfect suggestion. There is a great wonderful world of adventure and discovery hidden within Riviera Maya in Mexico. 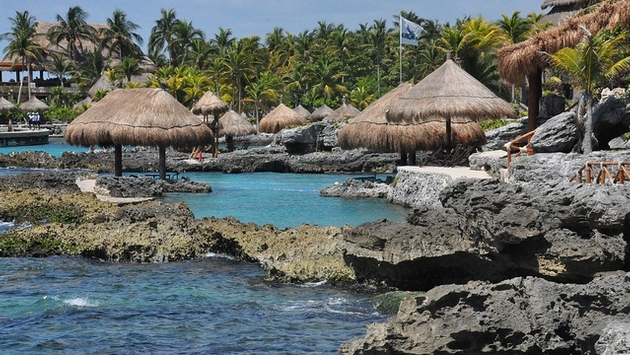 Experiencias Xcaret’s Xplor Park is something you have to experience to fully appreciate. It is like a separate world hidden underneath the camouflage of the natural landscape of this Mexican peninsula region. We should warn you, if you are seeking a lazy retreat where you can just lie around and passively soak up rays, this might not be your idea of an ideal way to spend a vacation. On the other hand, those who are craving a high-energy, action-packed experience that is guaranteed to get the adrenaline pumping will feel like they are in paradise. Xplor Park is like a natural park mixed with a theme attraction, with a dash of extreme sports and sprinkles of adventure activities thrown in for good measure. You might say it is the world’s oldest extreme adventure park, as its roots trace back to roughly 65 million years ago when an asteroid reportedly struck that part of the planet, beginning an era in which many of the land formations and geological marvels found in the area first came to be. These natural features are a big part of the allure of Xplor Park. Everywhere you look, you are surrounded by stalactites and stalagmites that serve as some of Mother Nature’s most impressive décor elements. You can also see prehistoric fossils and a host of other natural creations. But this destination goes way beyond cool scenery. There is also a wide range of activities to enjoy here. Feel like you can fly as you soar across the sky at lightning speed as you try out the highest zip-lines in the region. Get behind the wheel of an amphibious vehicle as you explore the underground caves and tunnels. Take a subterranean cruise with an underground raft, or just nurture your inner explorer as you wander on a tour of the stalactite rivers. Xplor Park and Xplor Fuego are just two of several incredible experiences offered by Experiencias Xcaret, which has established itself as a leader in sustainable tourist recreation.